What is one to do with thoughts that are far too long for Twitter but not nearly long enough for a proper blog post? Why round them up and turn them into a twelfth portmanteau post on television of course! Delaney hurries through the back-lot looking stressed. He is speed-reading the first few pages of various scripts, and tossing them over his shoulder, as he walks. Suddenly he notices a group of men smoking beside beat-up cars and oil drums. DELANEY: You can’t be smoking here!! Do you know how much f****ing ether we’ve got in this lot? BORIS: We’re not going to set anything on fire or blow anything up unless we mean to, man, we’re professionals. DELANEY: Hang on, I know you, you’re that slacker stuntman. What are you bums doing just hanging out here on the lot? JOHNSON: No need to get hostile, we’re paid to be here. DELANEY: Wait, what? I’m paying you to sit around smoking? BORIS: Contract is for 12 months man. Not our fault there’s a production hiatus in the summer. DELANEY: Now wait a goddamn minute! You mean I pay the actors to do TV, then they bunk off and someone else pays them to do films, but I have to keep paying you to do nothing? JOHNSON: Hate the contract, not the contractors. DELANEY: No, no, no. I didn’t get where I am today by not sweating people for the last ounce of blood from their contracts. You’re going to do some work! BORIS: Hey dude, chill, there’s no TV happening, and CBS is a TV network. There’s nothing you can do. JOHNSON: Cool it Boris. Look, Boris doesn’t mean any offence. 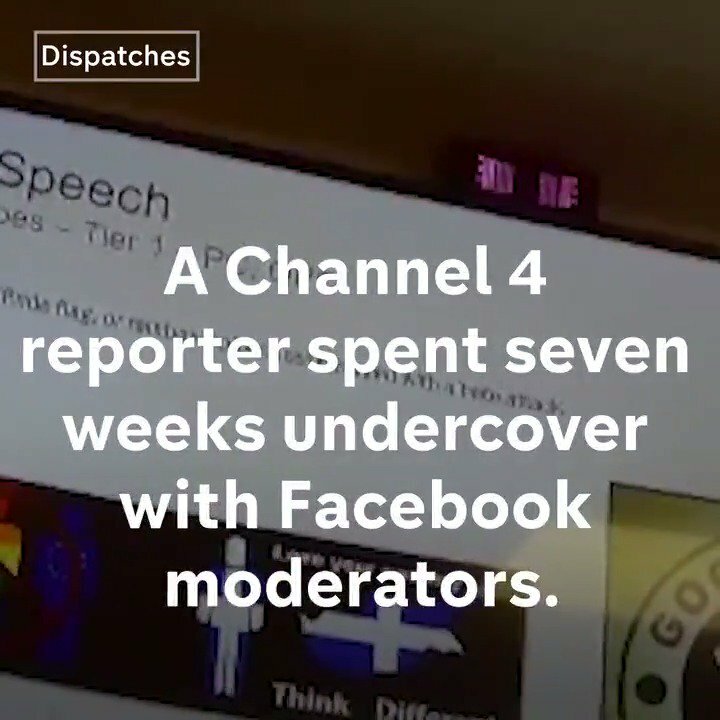 We think CBS is a fine network. We’re happy here. You’re happy with our work. The audience is happy with the procedurals and spy shows. Let’s just all – take a step back. Delaney walks up to Johnson and pushes one finger into his chest. DELANEY: You can take one step back, and then keep stepping back, until you reach the production offices. You, buddy boy, are making a movie. BORIS: WHAAAT?! CBS doesn’t make movies, CBS is a network. DELANEY: CBS is whatever I need it to be. And right now it’s a film studio. I’ve got scripts coming out the yazoo here. All of them bad. (throws all the scripts in the air) (to Johnson) Pick them up, bring them to the production office, that’s what the staff writers are going to turn into the screenplay you’re filming during this ‘hiatus’. JOHNSON: (beat) You’ll never get away with this. This is stepping over so many union lines. CRAIG SWEENY, writer/producer, clenches and unclenches his fists as he walks along a corridor. He slows as he approaches the office at the end of the corridor from which we hear two loud voices. He gulps. Sweat trickles off his unclenched fist. Sweeny slowly pushes open the door, and hovers in the doorway while ROBERT DOHERTY jumps to his feet to bellow at a phone on speaker emitting a dial tone. DOHERTY: AND GOOD DAY TO YOU TOO, ‘SIR’! Doherty picks up the phone and throws it off the desk. The receiver lands on the hard wooden chair on the supplicant side of the desk, while the body dangles in mid-air as the cord is attached on the other side of the desk. DOHERTY: (looks up at Sweeny) Telemarketer. SWEENY: Oh. Uh, hey, uh, Robert, do, uh, do you have, uh, a minute? Maybe? DOHERTY: What? A minute? Oh, yes, certainly. Take a seat. In fact, it’s great that you’re here, Craig, I want to explain to someone a fantastic wheeze I just concocted. DOHERTY: I said sit down sir! Sweeny dives into the supplicant chair, and ends up sitting on the receiver. He tries to subtly move it out from under him while Doherty relaxes back into a leather armchair. DOHERTY: If we get cancelled I have come up with a golden parachute to beat the bank. Have you read any of the Game of Thrones books? DOHERTY: Ah! Neither have I, and one of us needs to, so that means you. Read them all in the next week and report back to me then. Also make some character notes. And some notes on the house style employed. DOHERTY: Don’t interrupt! Now, George RR Martin is a decrepit old man. We all know this. What we all know but are too hidebound by bourgeois niceties to say is that, like Robert Jordan, he is going to die before he finishes writing the novels. Indeed he may well die before he even finishes the next book as he clearly has no interest in actually writing it. But, and how many times have I tried to impress this on you Sweeny, never present just a problem, always present the solution too. So! The solution – we pull a Patterson. DOHERTY: Would you stop interrupting me?! Now, if James Patterson can come over all medieval craftsman and give anonymous people 50 page treatments which they then flesh out and he later okays before putting it out under his own name, then why can’t we do the same for decrepitly old George RR? DOHERTY: He tells us, verbally, so that he doesn’t have to strain himself with the idea of committing something to paper, his ideas on what happens next, be they e’er so vague. We secretly record it, as the whole occasion will happen in front of a roaring fireplace as we get him roaring drunk. You transcribe it, I read it, work up a treatment, give it you, and you write it all up with the help of whoever we can keep on from the writers’ room. DOHERTY: And everyone’s happy. A new novel appears, it seems RRish enough to be going on with, and it’s been done fast, so nobody’s dead, and nobody’s left millions of fans howling at him for wasting a good chunk of their lives. DOHERTY: Oh, I thought you’d gone. Why haven’t you gone? SWEENY: I’ve been offered another gig. DOHERTY: What? You traitor! Where?? SWEENY: They want me to develop Limitless. DOHERTY: … The Bradley Cooper film? DOHERTY: I don’t see it as a TV show. SWEENY: Well. I thought it might make for a good procedural. 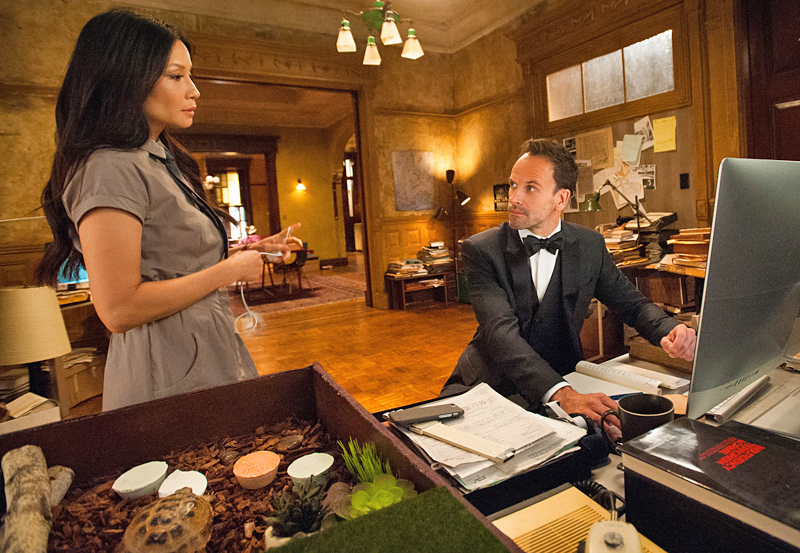 SWEENY: Well, suppose that we have Cooper appear in the pilot as a Senator. Suppose he wants NZT kept on the down-low, but suppose the Feds know about it, and then suppose that he cultivates a guy inside the Feds to keep them guessing. DOHERTY: A healthy amount of supposition! So, set-up. What’s the week by week? 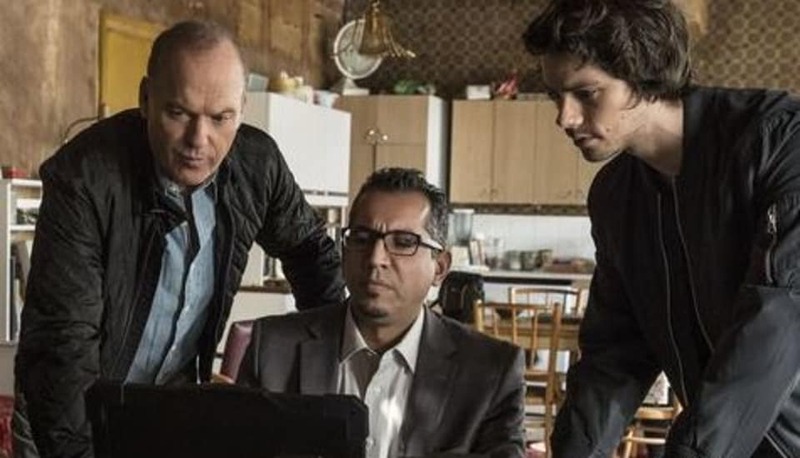 SWEENY: Why would the FBI keep a guy around? NZT makes you smarter. So he can see patterns nobody else can, the drug makes him the best analyst they have! DOHERTY: (lilts) One pill makes you larger, and one pill makes you small, and the ones that the Feds give you make you Sherlock Holmes for twelve hours. (mutters) Haha, said the title. DOHERTY: Some day, Sweeny, you may join myself and Deadpool in an elite club. Yes, I think I can see this working qua show. SWEENY: So, are you okay with me working on it? DOHERTY: Yes! I see great possibilities. I was talking to a network lawyer and he said that he’s fairly sure that with a bit more screen-time he can get Clyde the turtle a SAG card, and then we can all share the health benefits with a nod and a wink to a tame doctor. Do you think you can give your hero a pet turtle that he uses for expository purposes? Before Sweeny can answer BORIS sticks his head in the door. DOHERTY: NO! THAT LINE REMAINS! DAMN TASTE AND DECENCY! YES! WATSON CAN DIRECT ANOTHER EPISODE IF SHE REALLY MUST! AND IT HAS TO BE PURPLE! PURPLE! PURPLE! PURPLE! IF HE CAN’T DISTINGUISH BETWEEN PURPLE AND MAUVE HE SHOULDN’T BE A PRODUCTION DESIGNER! Boris nods at the answers to the three questions he didn’t get to ask, and sidles away. No matter how many times Sweeny sees Doherty do this, he is always amazed. DOHERTY: Do you need to ask? Honestly, Craig, this is the level you need to be at to ascend to show-runner. Incidentally I have an idea for a Ferris Bueller episode. SWEENY: That sounds more like a season six conceit. DOHERTY: AHA! I’m so proud, I knew you had it in you. My tutelage is second to none. Well of course it’s a season six conceit, but I have no confidence in getting that far so let’s put it in your show. SWEENY: WHAT?! I haven’t written a final draft pilot script! I can’t start putting nonsense conceits in the show from the get-go. DOHERTY: Nobody’s saying make the pilot bonkers, or the first regular episode barmy, wait till about episode 7. Also, I’ll be coming aboard your ship if mine sinks. DOHERTY: It’s nearly Thanksgiving, I might come as a turkey. (beat) (beat) (Doherty waits for raillery from Sweeny) (beat) (realises it’s not coming) Sorry, my mistake I thought we were doing something there that we weren’t actually doing. Creative Consultant. SWEENY: Will you actually just be a creative consultant? Or will you try and be a backseat show-runner. DOHERTY: Creative Consultant. Advise and Consent. A hopeless yes-man. I am a shy and retiring individual, as you know. Boris sticks his head in the door again. DOHERTY: F****** LILAC?!!! IS THIS SOME ILL-CONCEIVED APRIL FOOLS’ DAY PRANK?!! Don Cheadle is star, co-writer, and director in this long-gestating passion project, an impressionistic portrait of jazz trumpeter Miles Davis. The flashbacks principally tell the tale of Miles’ romance with dancer Frances Taylor (Emayatzy Corinealdi). As much as Cheadle is really interested in telling a tale, for Miles Ahead is actually at times reminiscent of the impressionistic dreamily floating in and out of scenes through time approach of The Price of Desire. And that biopic of Eileen Gray was so critically savaged at JDIFF 2015 that its British release was pushed back to late May 2016… There is no stricture that a biopic about a musician involving much flashback ought to hew to the template established by James Mangold for Walk the Line. 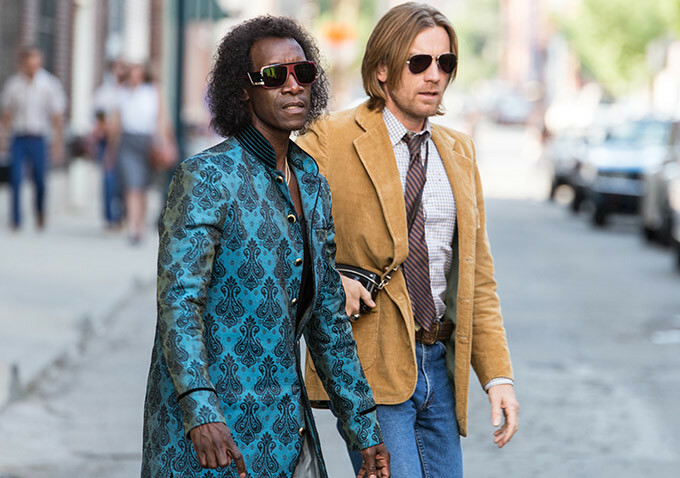 But without such formal rigour there is the danger of not much detail about anything adding up to very little, almost as if Cheadle is presenting two films: a cool jazz romance and a Gonzo blaxploitation flick. Miles Ahead is not an entirely satisfying film, especially as you eventually feel Miles was just innovating his way down a cul-de-sac, but there’s enough shambolic charm, good performances, and great jazz to attend. ADIFF has announced that Irish-American actor Aidan Quinn will attend the 20th anniversary screening of Michael Collins. 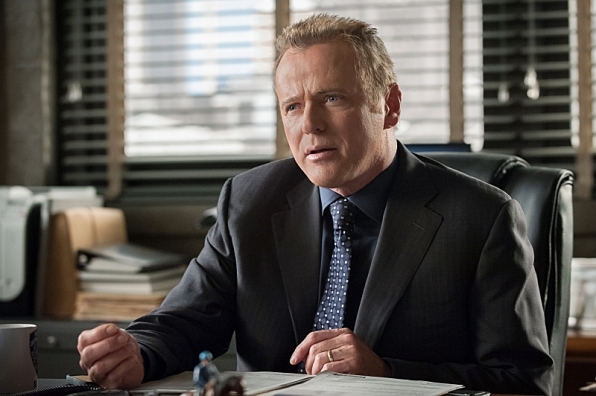 Aidan Quinn played Harry Boland in Neil Jordan’s biopic charting Collins’ struggle for independence. The film will have its 20th anniversary premiere on Saturday, February 20th at the Savoy on O’Connell Street, which will also be attended by writer/director Neil Jordan and cinematographer Chris Menges, followed by an on stage Q&A hosted by Harry McGee. The event will also be attended by some of the many volunteer extras who took part in the film. Michael Collins will also be available for the first time on Blu Ray from March 4th in a 20th anniversary edition, re-mastered with the addition of a new specially recorded introduction and director’s commentary by Neil Jordan. This new anniversary edition will also be available on regular DVD. And if you have fond memories of its controversial 12s rating [or PD-13 rating (Patriotic Duty to go see it) as I once dubbed it] you’ll be glad to hear Michael Collins will be re-released nationwide in cinemas in a new digital format from March 18th. This is a pity, because the writers did a creditable job of solving the Morpheus Problem. 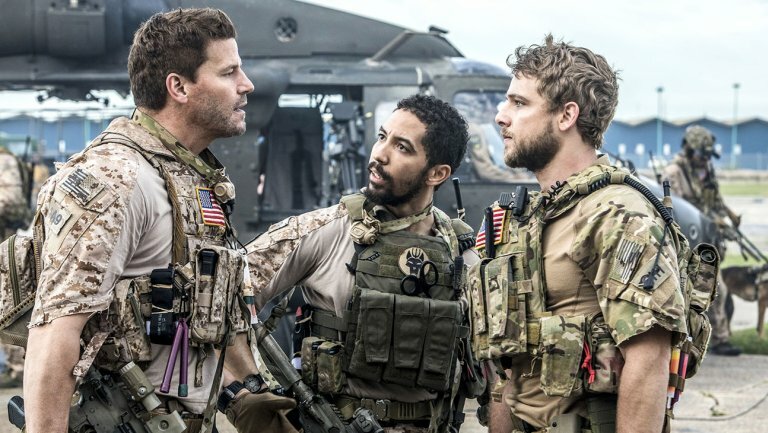 To recap, CBS undertook research to see why fans weren’t reacting well to Laurence Fishburne replacing William Petersen. The response, “We’d like to see Ray in more of a leadership role”, was code for “We’d like to see Morpheus being Morpheus…” Grissom had passed the torch to criminology professor Dr Ray Langston, but explicitly invited him to apply for the Level 1 CSI vacancy. Catherine Willows became the new supervisor of the night shift while Fishburne waltzed into first billing, but as the new rookie. Ray’s medical background allowed him attend autopsies with coroner Dr Robbins as Grissom did, before the writers outrageously jump-started a new dynamic by having Ray and Doc Robbins go on a road-trip to fight crime – while listening to their beloved blues records. Some Morpheus was added to the mix as a baffling case was solved by Ray’s knowledge of ancient Greek history and philosophy. But the real problem was that Fishburne was too big a screen presence to play the lowest ranked person. I asked if Ray could really take on a leadership role without wreaking chaos on the internal logic of 9 seasons of CSI? The first episode of season 10 saw the writers use some neat tricks and some wilful blindness to solve this conundrum. A nice gag saw Morpheus Ray kung-fu kicking a man thru a glass window in a bullet-time pan around the entire lab as it was raided by Russian mobsters stealing a corpse from the morgue in the cold open. The episode then played out the events leading up to this daring raid and we learnt in conversation with Ecklie that Ray had taken many classes, “You’ve had quite the busy summer … You’re already two courses over your training allotment for the year”, “I know, and that is why I paid for them, and took my vacation to do them”, and so is promoted to Level 2 CSI in record time. Indeed we actually see Ray at this start of this dialogue training himself to recognise knife-wounds in a remarkably Zen manner, before later selflessly volunteering for a boring assignment when Greg whines about being pulled off a celebrity car-crash. That incident where Greg pulls rank on Ray on being reassigned before Nick restores order is pivotal. Lauren Lee Smith’s Riley has quit, and Ecklie upbraids Catherine for Greg’s insubordination, “This is a discipline problem. I’m beginning to think that Riley was right about you”, “What is that supposed to mean?”, “You didn’t read her exit interview? I put it on your desk! Just read it!” Riley had scathingly questioned Catherine’s ability to lead, but the returned Sara Sidle suggests that all Catherine lacks is a No 2 as good for her as she was for Grissom, and so Nick is promoted to assistant supervisor. The re-introduction of Sara restores one of the missing trinity that the show had lost in quick succession (Sara/Warrick/Grissom) and her intervention encourages Catherine to let her subordinates have the freedom to improvise, and Ray immediately does just that, cryptically promising his superior, “I’ll tell you if I can prove it”, as he searches for the subcutaneous bruising that proves the celebrity car-crash was a staged murder; by the ever wonderful Garrett Dillahunt’s shady private security operative Tom O’Neill. Ray’s determination solves this case, suggesting that this mental re-shuffle of their characters by the writers has had its desired effect. The introduction of Dr Jekyll at the end of this episode was a bold move, echoing as it did the only previous season-arc villain (The Miniature Killer in season 7) by giving Langston a villain who was his own particular nemesis. Just as season 7 had seen an increasingly obsessed Grissom build a miniature model of his own office before taking a teaching sabbatical as the case got to him, season 10’s arc storyline became the increasingly obsessive struggle between Dr Langston, the hospital administrator who’d been conned by an Angel of Death surgeon back East, and a demented surgeon given to performing grotesque farces of lethal unnecessary operations, like tying a victim’s organs up in a bow, or giving someone a second appendix. Dr Jekyll is as about as disturbing a killer as you can get on network TV. Actually given that Showtime’s loveably twisted Dexter ran screaming from using the villain Dr Denko from Jeff Lindsay’s second novel Dearly Devoted Dexter for their second season he’s probably about as disturbing a killer as you can get on TV period. The writers also cleverly introduced another Grissom parallel. Nick tries to talk Langston through guilt about the shoot-out at the end of season 9, “It was killed or be killed Ray, it’s a terrible situation to be in, you can’t let it bother you”, “It hasn’t been bothering me, and that’s what’s been bothering me”. Langston became increasingly haunted by the thought that he shares his father’s genetic predisposition to violence. This fleshing out of his character brought him twice into conflict with unsuspecting and uncomprehending DNA expert Wendy, and paid off wonderfully twice; when it led to a flashpoint with a surgeon in a hospital whose face Ray slammed into a wall after one taunt too many about the superiority of surgeons to administrators, and when it pointed a huge finger of suspicion at Ray in the penultimate episode of the season as possibly having murdered a journalist investigating Dr Jekyll, or even actually being Dr Jekyll himself unawares. All this beautifully invited comparison with Grissom, who was also in denial of his own genetic predisposition – to deafness. 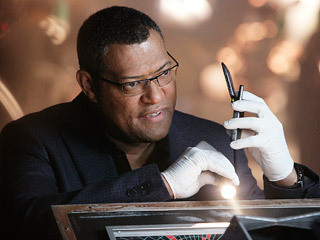 Fishburne like Petersen is now the quiet heart of the crime-lab, quietly comforting all who need counsel. 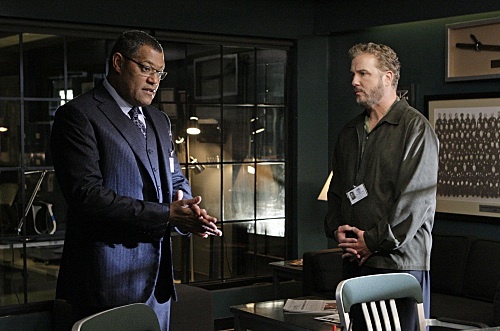 Ray’s medical background allowed them belatedly have him literally fill Grissom’s shoes by attending autopsies with coroner Dr Robbins, before outrageously jump-starting a Grissom/Robbins dynamic by having Ray and Robbins turn out to both be blues fans, who then go on a road-trip to fight crime – while listening to the blues. 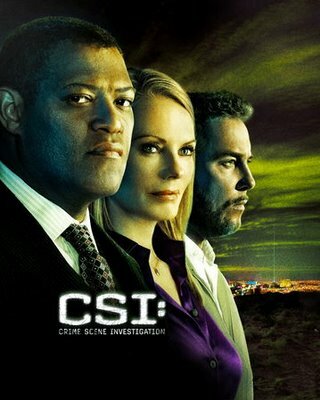 So far so Grissom but then some Morpheus was added to the mix as a baffling case was solved by Ray lecturing the other CSIs on ancient Greek history and philosophy and then using his reading of Aeschylus to solve the ‘murder’ of a self-proclaimed monk. But these attempted fixes all miss the real problem. Fishburne is too big a screen presence to be the lowest ranked person on the team, beneath even Lauren Lee Smith. It’s not that Smith hasn’t redeemed herself for Mutant X with fine turns in The L Word and The Dead Zone it’s just that she can’t dominate a scene with Fishburne, few can. Is the Morpheus problem soluble? Can Ray really take over a leadership role without wreaking chaos on the internal logic of 9 years of CSI, or can the writers belatedly contrive as clever an implausible jumping of the ranks as Commissioner’s Gordon’s ascension in just two Nolan Bat-films? And how did this problem arise in the first place, did the writers not realise that sometimes one role really can haunt an actor? That, despite a long and varied career from a thug in Death Wish 2 and the youngest member of the crew in Apocalypse Now, thru the abusive Ike Turner in What’s Love Got To Do With It? 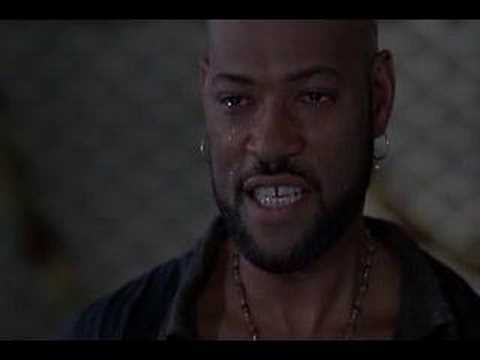 and the noble Shakespearean tragic hero in Othello, to the untrustworthy spy-master in M:I-3, Fishburne’s kung-fu knowing mentor in The Matrix has seared itself indelibly into the popular imagination.